When you or someone you love has Parkinson's disease (PD), it can seem that new and better treatments are nowhere on the horizon. But when you consider the history of development of new therapies for PD, there is cause for optimism. 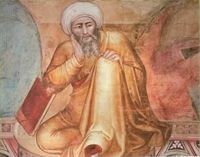 While PD was likely known to the ancients, it was not seriously studied until medieval period (apparently by the Islamic philosopher Averroes). PD was not well-recognized in the ancient world probably because not many people lived into their 60s or 70s in that time. So PD must have been more rare in the ancient world than it is today. Scientific study of PD did not commence until James Parkinson published his ‘Essay on the shaking palsy’ in 1817. From that point on, the signs and symptoms of PD were recognized as a syndrome or collection of symptoms that had a common cause. In the early decades of the 20th century, a flu epidemic swept the world. Some victims of this epidemic developed signs of PD and their cases were studied intensively, thus advancing knowledge of the parkinsonian symptoms. By the 1940s and 50s, neurosurgical treatments were being used to treat PD. In 1960, dopamine was found to be decreased in the brains of people with PD. In 1961 to 1962, we get the first successful trials of levodopa. By 1968, levodopa pills were available for use. This of course was a dramatic breakthrough in treatment for PD. Levodopa therapy worked so well for some patients that they could live relatively normal lives. It was soon discovered, however, that levodopa had unpleasant side effects and could not prevent progression of the disease so new drugs were developed to treat these side effects and to slow progression of the disease. Bromocriptine and the MAO-B inhibitor deprenyl were developed in the 1970s. Pergolide, selegiline and antioxidant therapies were developed in the 1980s. Meanwhile, deep brain stimulation therapies were introduced in the late 1980s and neurosurgical techniques were refined in the 80s and 90s. The FDA approved use of deep brain stimulation of the subthalamic nucleus for treatment of tremor in 1997. New dopamine agonists, pramipexole and ropinirole were approved for use in that year as well. Tolcapone and Entacapone were approved for use in the following year 1998. Throughout the 1990s, many of the genetic defects that have been implicated in PD were discovered. Identification of these genetic abnormalities would lead to new therapies in the 2000s. A gene therapy for PD was introduced in 2005. In the 90s and early 2000s, breakthroughs in stem cell biology suggested that new therapies would soon be forthcoming though no such therapy has yet emerged. In 2006, a new MAO-B inhibitor was developed called rasagiline. In that same year, a whole new approach to PD therapy, called antiapoptotic therapy, was initiated. It is designed to prevent the dying off of dopamine cells. Apoptosis refers to ‘programmed cell-death’ that occurs among dopamine cells of PD patients. And anti-apoptotic drugs should theoretically prevent this programmed cell death. To date these drugs are still under investigation. In 2007 a dopamine patch was developed (rotigotine) to deliver dopamine to the bloodstream in a more uniform manner thus reducing side effects. Throughout the last decades of the 20th century, all kinds of drugs were used to treat non-motor symptoms of PD like the mental disturbances, the sleep problems, the mood problems and so forth. Now notice that once PD was recognized in the early 1960s as a disorder of dopamine metabolism, new treatment innovations for PD were quickly developed. As each decade passed, the pace of innovation seemed to increase as well such that in the 2000s we have such an array of new emerging potential treatment options -- from a potentially revolutionary new gene therapy to a potential antiapoptotic therapy -- that prospects for maintaining independence throughout the course of the disease are getting better and better. I am also optimistic that the right combination of agents will be found in the next few years to slow progression of the disease. Wiener, W.J. and Factor, S.A. (2008). Timeline of Parkinsons Disease History since 1900. In:Parkinson’s Disease: Diagnosis and Clinical Management: Second EditionEdited by Stewart A Factor, DO and William J Weiner, MD. New York: Demos Medical Publishing;pps. 33-38.